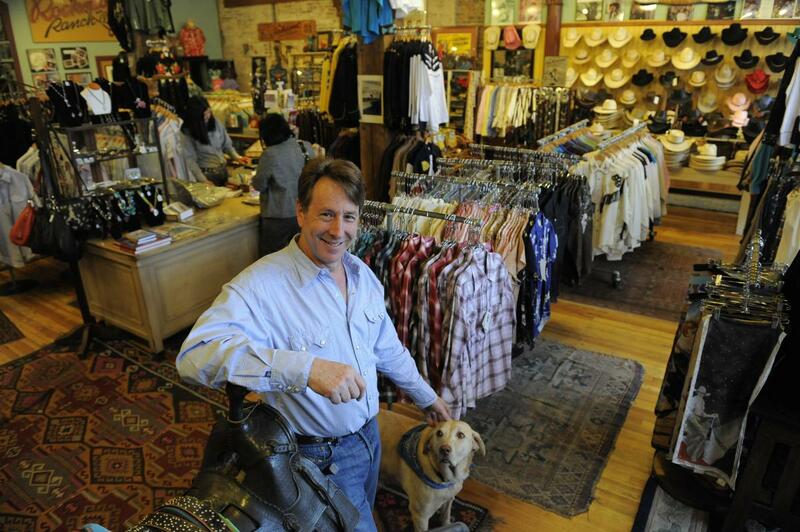 When “Papa” Jack Weil opened Rockmount Ranch Wear Mfg. Co. on Wazee Street in 1946, he aimed to create stylish clothing for the Western lifestyle. He knew that these guys had no desire to look like the city slickers back East and recognized there was a unique aesthetic that should be considered in creating this special identity. Weil combined the elegance and quality of debonair shirting with the rugged lifestyle of Colorado to design a line of shirts that were both handsome and practical. The shirts were innovative. By using snaps instead of buttons it allowed for easy wear and less mending; sawtooth pockets provided a place to safely store essentials; and a longer tail ensured that shirts stayed neatly tucked in. The shirts, made of fine materials with ornate details, stood apart from the boxy, conventional looks on the market then. Papa Jack, who worked until he passed away at the age of 107, wanted to do things right. That commitment to quality and innovation made Rockmount a leader in fine clothing, hats and accessories for adults and children in the West and also something to take home for those visiting the West. When the next Weil, Steve’s dad, joined the business in the 50s, the brand grew to a national level, supplying clothing stores around the country. In the past few decades, under Steve’s direction, the brand has gone global. Weil didn’t think he’d get into the family business. He admired his grandfather and father, but like every good entrepreneur, he wanted to diversify. In the 1980s, Steve returned from school in England with a law degree, an arsenal of new experiences and a love for English shirting. He introduced the use of fine, 100 percent cotton fabrics that had not been used in Western shirts, replacing the easy-care cotton blend styles of the sixties. He polled friends to identify new sensibilities and tweaked the fit and fabrics allowing the designs to evolve with a broader audience. This has been a key to the firm’s success over the decades: tune in to what is happening at the time, and adapt without losing the core design and values of quality and innovation. 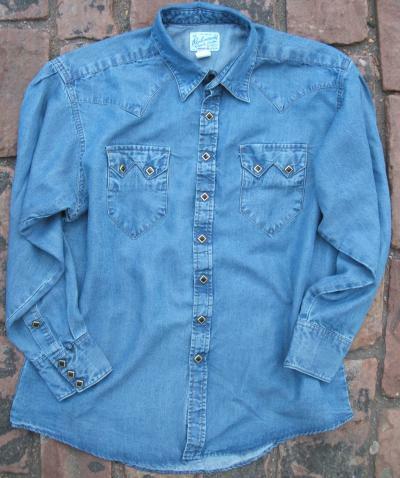 Rockmount’s “Sawtooth” pocket and “Diamond” snap design is the longest running shirt in America. Change isn’t easy and Steve and his grandfather didn’t always see eye to eye. But the younger Weil knew when to trust his gut and how to push forward without discrediting Papa Jack’s wisdom. During his tenure, Rockmount has grown new markets domestically and overseas, garnered a devoted celebrity following in the movie and music worlds, and expanded from wholesale to retail. Rockmount made its first foray into retail in 2001 with a web presence. Four years later, the Weils opened a flagship store in the company’s historic landmark home in the heart of Lower Downtown (LoDo), which had been their warehouse since the forties. The building’s prairie style architecture is perfectly suited for the brand—a nod to tradition, but not stuffy—and with enough space to hold the extensive stock that supplies more than 1,000 stores around the world. On the mezzanine, a museum traces the evolution of the Western shirt design and its influence in Western culture. Heritage is important to Steve and he strives to protect his family’s legacy, whether that means going up against major fashion houses that copy their designs, or spending time on the phone with a reporter detailing the historical significance of the 1909 building, or traveling the world to find new fabrics or inspiration to keep Rockmount vital and relevant. 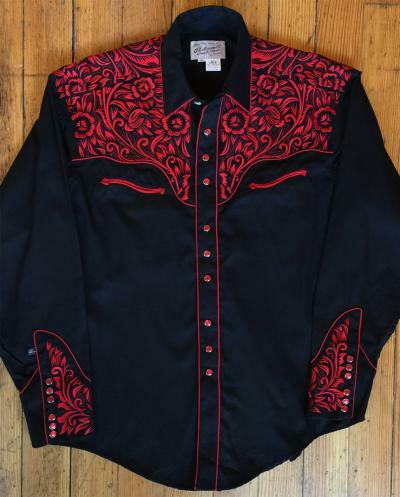 In addition to the iconic shirts, Steve’s team also makes and curates a fine selection of rugged chic trappings for Westerners: suede fringe jackets, Lucchesse & Corral boots, tooled leather belts, fleece blankets and bolo ties (which Papa Jack also pioneered), among other things. Steve considers the team’s work to an art form—a way to express individuality and creativity through fashion. He searches the globe for raw materials to realize his vision at the highest level. This attention to detail and artisanship has earned Rockmount a space in renowned museums such as the Smithsonian Institution in Washington, D.C., and the National Cowboy & Western Heritage Museum in Oklahoma City. Recently, Rockmount teamed up with Denver Art Museum, American Museum of Western Art and The Broadmoor to develop a limited edition line of silk scarves from major works in their collections. The team is in a constant state of development. Ideas come from everywhere, but Steve Weil’s main inspiration is and always will be the people who walk through the doors.